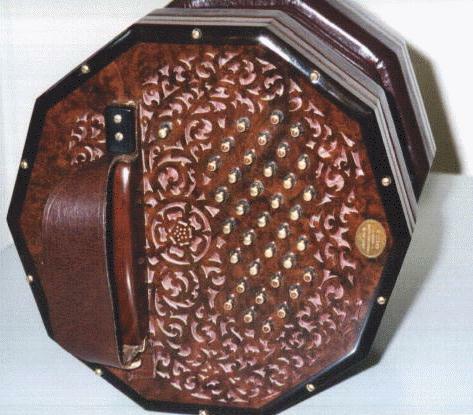 This fine concertina was made by C & R Dipper, who sometimes make larger Haydens with 10 sides, as shown here. They are to the best of my knowledge the only 10-sided concertinas to be found. The owner proudly described the instrument to me as "The finest concertina ever made - ever made".